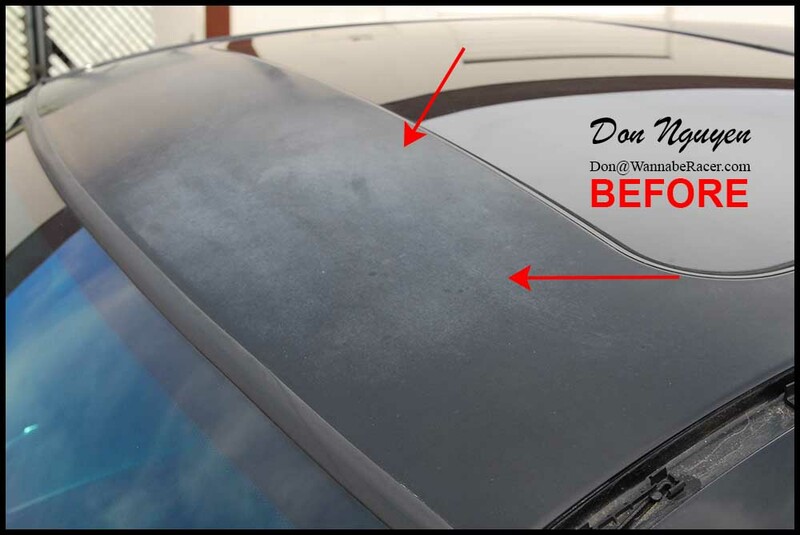 Surprisingly, this is becoming more of a common occurrence, even on fairly new cars (5-7 years old). 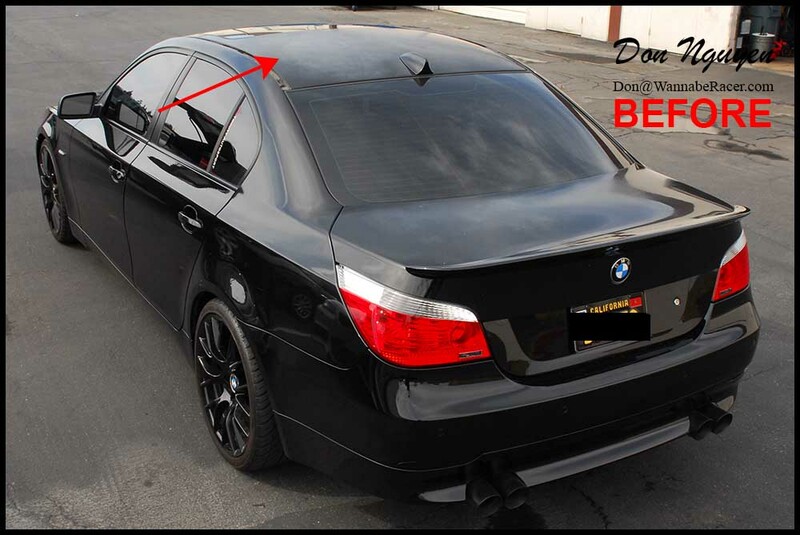 I used to see this kind of issue more on Hondas and Acuras, but apparently a lot of black BMW E60 5 series have been showing up with similar issues in their paint. 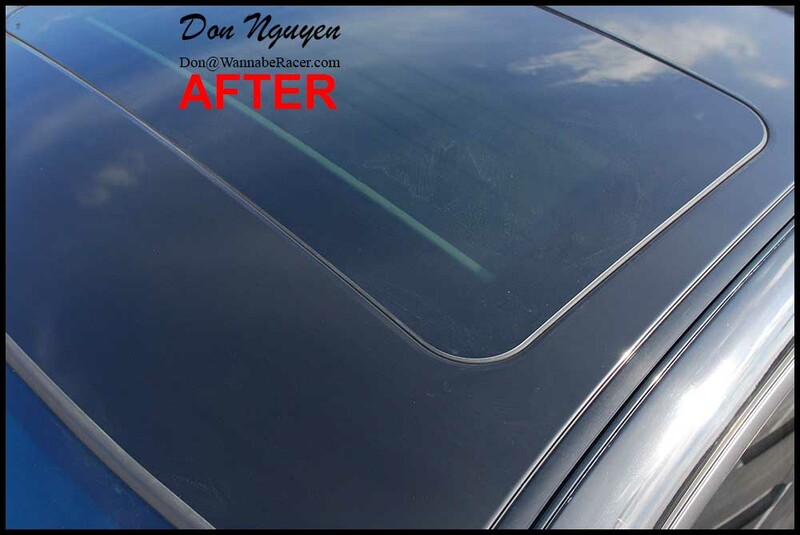 This black BMW E60 550 sedan had me wrap the roof of his car in my gloss black vinyl material to help cover up the oxidizing and fading factory paint. 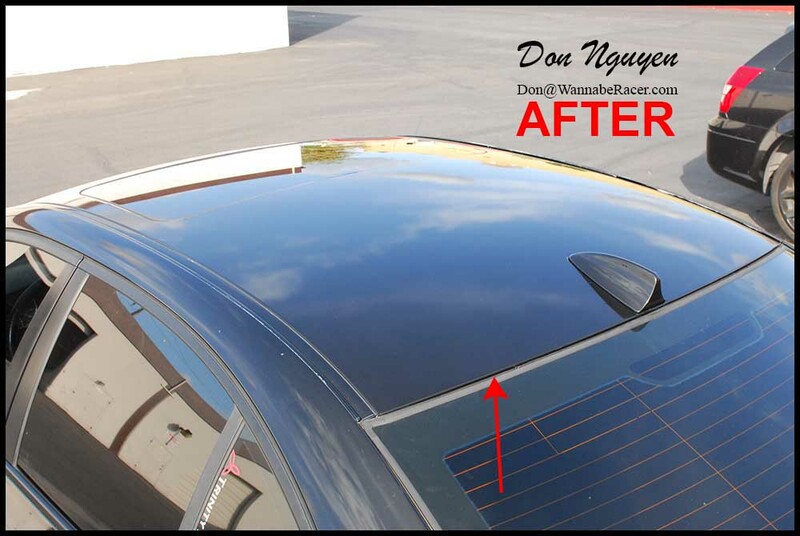 The gloss black wrap is a fairly close match to the gloss jet black finish of the BMW’s factory paint, making this a cheaper alternative to having to repaint the whole roof. 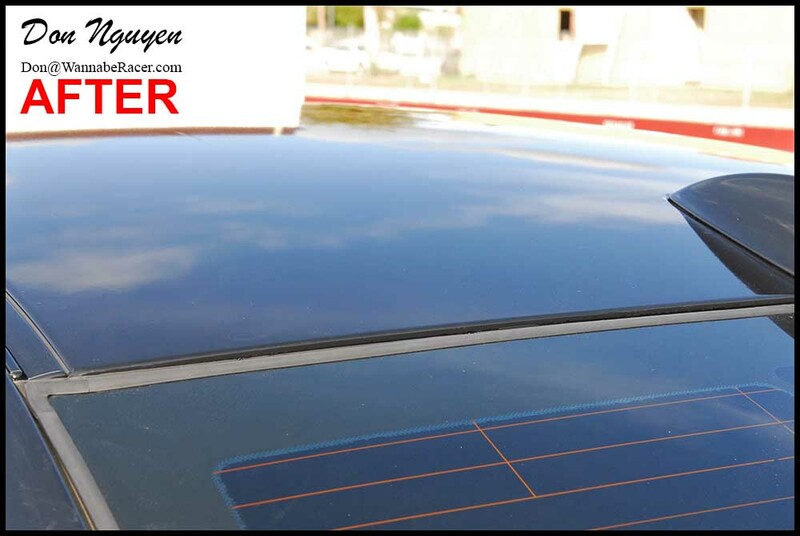 The owner of this car came out to me in Anaheim Hills / Orange County from Oceanside / San Diego to have the vinyl wrap done on his roof.